What always made me sad about daggerfall UI, that all books have just scroll backgrond, so I created this simple vanilla-style book UI. 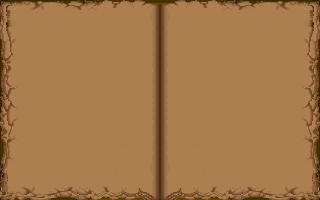 I has no programming skill to implement it in game, make it work only for books and divide text on 2 pages, but if anybody want and can - it would be wonderfull. 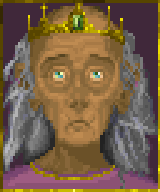 There I made flat for Lord Auberon Flyte - ruler of Anticlere, which have lore, portrait and background, but not presented in game. Hope he is in proper original aggerfall style. If something require fixes - let me know. His face does not seem to be too long. I like it! But you should create it in a bigger resolution. Than you can reduce the resolution if you want that low res look. To me it seems a bit sad to recreate it so nicely, put in all that work, and have only 95*152 pixels resolution as a result. This is how it looks upscaled with a few manual touches... Imagine all the additional detail you could put in it, if you work in a bigger resolution. Excellent work! Could I use it in my Classic/DFU mod currently named Court of Anticlere? Yes! More than that, if you want to make unique castle for anticlere, and make real questline for this and other kingdoms - I'd be glad to help! Thanks, I will update my "mod" and give you credits of course . In fact, as it was not really a mod but mostly a proof of concept showing how to include unused NPCs in the game, I didn't plan to make a new castle or to provide new quests for this. However, feel free to expand on it if you have any idea. In which case I think it would be easier as a pure DFU mod. I'm not sure if DFU can modded to replace exterior blocks right now though, Hazelnut could tell us more on that I suppose. Thanks, I will update my "mod" and give you credits of course . 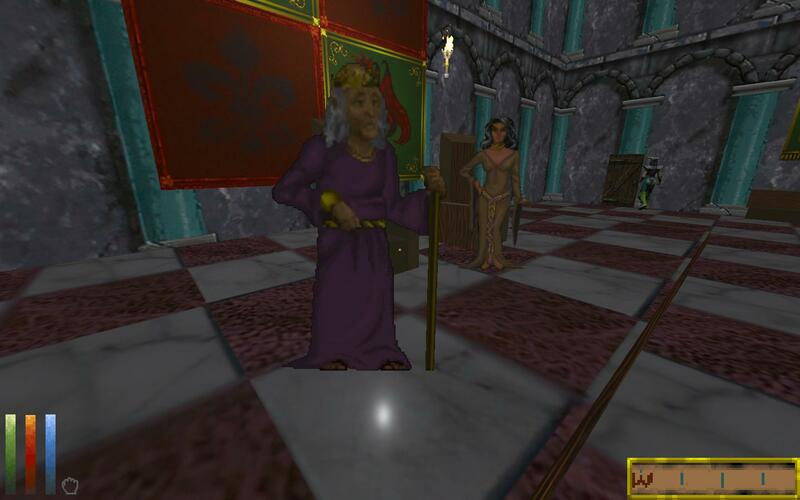 In fact, as it was not really a mod but mostly a proof of concept showing how to include unused NPCs in the game, I didn't plan to make a new castle or to provide new quests for this. However, feel free to expand on it if you have any idea. In which case I think it would be easier as a pure DFU mod. I'm not sure if DFU can modded to replace exterior blocks right now though, Hazelnut could tell us more on that I suppose.